In the waning days before my novel Her Own Vietnam is released, I’m writing about 30 Women Novelists You Should Know. 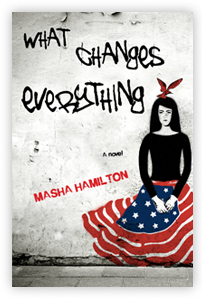 Today – Masha Hamilton. But with the novelist Masha Hamilton, it’s difficult for me to separate my admiration for her books from my admiration for the way she conducts her life. She spent most of her career as a journalist, reporting from Afghanistan, Kenya, Moscow and the Middle East, among other places. She served as the Director of Communications and Public Diplomacy at the U.S. Embassy in Afghanistan. Now she works for Concern Worldwide, an NGO that seeks to eliminate extreme poverty around the world. In her spare time, Masha founded two world literacy projects, the Camel Book Drive in Kenya and the Afghan Women’s Writing Project. 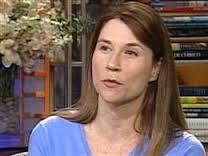 Oh, and she’s written five acclaimed novels. It’s true Masha Hamilton is a friend of mine. But c’mon, who could fail to be impressed by this level of literary and humanitarian accomplishment? Just reading about it makes me tired. Masha’s novels are Staircase of a Thousand Steps (2001), The Distance Between Us (2004), The Camel Bookmobile (2007), 31 Hours (2009) and What Changes Everything (2013), which has a wonderful book cover. 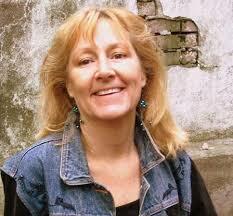 Her books deal with the vital issues of our time through the lens of compelling human stories. To enjoy the novels, you don’t need to know anything about the concerns she addresses – the lives of women in the Middle East, the toll of war on journalists and civilians, the challenge of spreading literacy in Kenya, the dangers of cultural naiveté, the lure of radicalism, the power of parental love. You can just let yourself be gripped by the plot, the suspense, the characters, and the tactile details that make you see, hear, smell and feel the locations, whether Afghanistan or Brooklyn. I happen to be fond of books that persuade you toward a point of view. But Masha’s novels don’t do that. They invite you instead to look behind all the warring points of view and find compassion for the striving, suffering human beings who are simply trying to do the best they can – for themselves, their families, their nations – with their one fleeting life. There are many more than 30 wonderful women novelists you should know. But there are only 36 days left until my novel, Her Own Vietnam, is released. So I’m using this time to talk about women storytellers, both new (to me) and vintage. There was a time, not all that long ago, when I had never heard of Lana del Ray. Then suddenly her name and her music were everywhere: on the radio, on TV, playing in friends’ cars, showing up on Facebook. I’m having that kind of a moment with Rene Denfeld. First I started seeing rapturous reviews for her novel, The Enchanted. Later I came across this powerful article by Denfeld. If you’ve read the beautiful, strange and stirring novel The Enchanted, you will understand how disconcerting it was to have the creator of that hallucinatory universe pop up on Facebook. The Enchanted takes place largely in an old stone prison, inside a basement dungeon that serves as the prison’s death row. The narrator, Arden, is waiting his turn to die for a crime so horrific he will not describe it. Even The Lady, the intrepid death row investigator who is the novel’s main character, walks a little faster when she passes his cell. Her job is to find evidence that will get a prisoner’s death sentence commuted to life in prison. But her current client, a murderer named York, is different from all the rest. He wants to die. An unnamed investigator with her own troubled past, a fallen priest, a heartbroken warden, a clutch of death row inmates, and a narrator who is a condemned murderer and is certainly twisted if not mad – these are not the usual ingredients for a thing of beauty. And yet the novel is beautiful. Open the book anywhere at random, and you’ll find an idea, a description, a piece of dialogue that is fresh and lovely. The Enchanted is not one of those novels where you turn the last page and lament the need to leave the world it created. You rejoice at your freedom to leave that “enchanted place.” But you have learned to see that world in an entirely new way. Only 40 days until my novel Her Own Vietnam is released! In the meantime, I’m blogging about 30 women novelists you should know. Jennifer Haigh is one of those writers, like Alice McDermott, whose quiet and modest narrative voice hides how beautifully she creates complex, breathing characters and situations. Her first novel, Mrs. Kimble, told the story of three women who, over time, all make the same mistake of marrying Ken Kimble. While not my favorite of her books, it won the 2004 Pen/Hemingway Award for debut fiction. Baker Towers blew me away with its exploration of life in a Pennsylvania mining town called Bakerton in the years following WWII. The towers in question are not church steeples or university spires, but two gigantic piles of coal waste – which tells you all you need to know about why the daughters and sons of the Novak family try so desperately to escape or resign themselves to the town. This year Haigh came back to Bakerton with News from Heaven, a collection of interconnected short stories that provides a ground-level glimpse of small-town America as it vanishes before the eyes of its dwindling residents. The town has been mined out and is now collapsing in on itself, and its families must learn to live in the empty skeleton of their hometown, or go elsewhere to build new lives. The Condition portrays a family in dissolution. A daughter has Turner’s syndrome, which keeps people perpetually in a childlike state; the afflictions of the other family members are less easy to diagnose. My current favorite of Jennifer Haigh’s novels is Faith, a surprisingly fresh take on a situation we are all too familiar with: a Catholic priest has been accused of sexually abusing a young boy. The novel is narrated by the priest’s sister, who illuminates the situation from several points of view, including those of her brother and the mother of the child he is accused of violating. The book provides an intimate view of a working class, devoutly Catholic community in New England as their faith in the Church is beginning to crumble. You can watch the book trailer here. 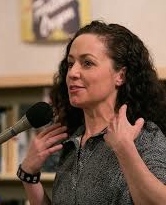 Jennifer Haigh told the novelist Caroline Leavitt, “I write novels for the same reason I read them: to find out what happens next.” Read Haigh’s books for the plot – or for the breathtaking portrayals of familiar worlds in the process of disintegrating. I’ve been sharing some thoughts about my favorite novelists. You may already be familiar with many of them, but I hope you’ll find some new favorites of your own in this list. Sonya Chung has written only one novel so far, and it’s a beauty. Long for this World is about a war photographer who is injured in Iraq and goes home to recover in New York. “Home” is an ambiguous concept for her, since she has spent the past decade traveling to all the world’s worst places, preserving images and losing people. When she learns that her father has abruptly left her mother and gone to visit his brother in Korea – the first time he has returned to his home country in decades – the daughter goes to find him, bringing her cameras, her childlike Korean, her weariness and her curiosity about this mysterious notion of family. Chung was 37 when Long for this World was published – a late bloomer, according to some standards of the literary world. This, of course, ignores her many published and lauded stories and essays. And it’s a nonsensical standard to begin with (says the writer who also published her first novel at 37). You can find Sonya Chung’s writing all over the Web. What you won’t find – yet – is her second novel. Wait for it. Watch for it. It’ll be worth it. Only a few weeks to go before my novel Her Own Vietnam is published, and still many fabulous women novelists to discuss. 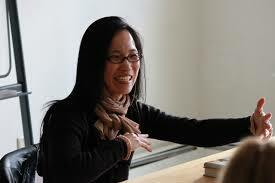 Moving in alphabetical order, today it’s Susan Choi. 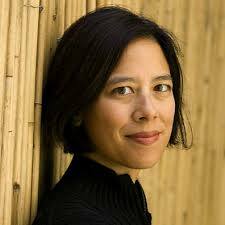 Susan Choi explores events, situations or characters that we think we know and upends them, making them both less familiar and more illuminating of life in America. Her characters are sometimes unlikeable but always compelling, and Choi’s psychological insights penetrate even the most complicated characters. I became a Susan Choi fan after reading American Woman, published in 2003. The novel uses some elements of the well-known Patty Hearst saga – a young heiress is kidnapped by left-wing radicals and comes to join them – and melds them into a story we’ve never read before. Choi’s focus is not on the Patty Hearst figure, but on the woman no one notices, a revolutionary of Japanese-American descent who agrees to hide the heiress and ultimately grows to love her, all the while knowing that it is she herself – not white, not rich, not recognized as fully American – who is the most at risk. The novel was a finalist for the Pulitzer Prize. A Person of Interest (2008) is based loosely on an amalgam of two real-life stories: the Unabomber saga, and the scientist whose life was destroyed unfairly when he was announced as a person of interest in the anthrax case. In the novel, a mathematician named Lee is nearing retirement at a Midwestern university. He is envious of his young, popular neighbor in the faculty offices – until the man opens a package that contains a bomb. Lee ultimately becomes a person of interest in the case. The novel is part mystery, part procedural, but mostly a detailed, thoughtful exploration of life as a perpetual outsider. In My Education (2013), a graduate student is powerfully drawn to her glamorous professor. It’s a timeworn literary trope, but with a writer of Choi’s skill and originality, nothing is quite what you expect. To start with, the student ends up falling in love not with her professor, but with his wife. The dynamics of race, gender, ethnicity, class and culture – the very definition of “otherness” – play central roles in her work. With the sure hand of an expert storyteller, Susan Choi takes on the unpopular, the unsayable, and the deeply intriguing.